When 15 year-old Morgan is contacted by the advanced civilization of Lucid World, she has no idea what is to come. 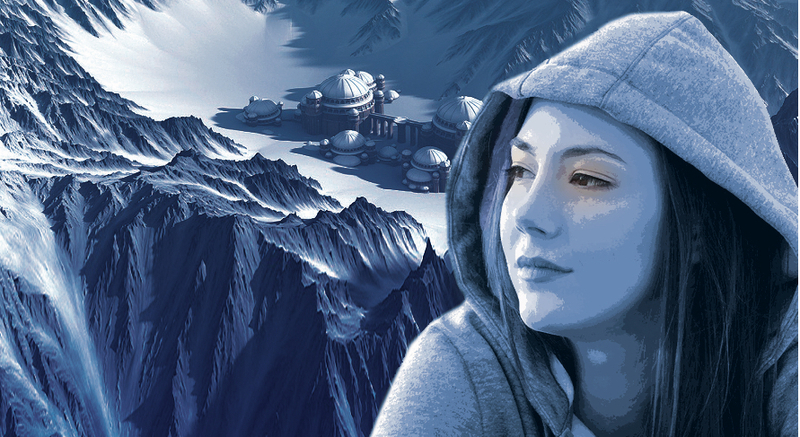 She is one of a select group of teens chosen to travel via avatar into a remote, and hidden technologically-advanced society housed inside a vast mountain cavern.Here she learns about an emotional disease called khaos, that has infected all of humanity. Her new friends in Lucid World live under a dome beneath an ice cap, with cats, culture, and a harmonious way of life uninfected by the khaos of the world above.Those living on earth now are in what they call Nosos World. Shifting from Morgan’s family and school life to the education she receives in Lucid World, the story shows Morgan applying the understandings of khaos to problems in her life, and in the town.While Morgan’s everyday life in Coyote Flats continues to unfold, her family and friends have no inkling of her Lucid World contact. But when communication breaks down, Morgan’s secret is exposed. 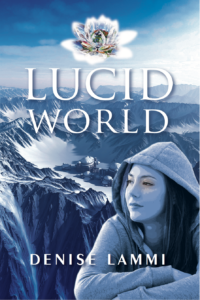 A book with a sweet message of good will, compassion and understanding, LUCID WORLD was written for young adults but can be enjoyed by all ages. Paperback available at Amazon.com, Amazon.ca, and other online sellers. Ebook available globally in multiple formats – look for it in your favourite online store. Denise Lammi has written a book with a positive look at how just one person can change a world. Her book “Lucid World” is a great read that shows us how just changing your attitude can make a difference. “Lucid World” takes you from a world full of chaos to one where one person can make an incredible change in other people’s lives. This is a compelling story showcasing a teenager who discovers another world and a different way to think. I love sci-fi fantasy and this is a great twist on the genre. It kept me engaged and wondering what was going to happen next. The characters were very likable and the story line intriguing. By the end I couldn’t put it down and I loved how it all came together. Thoroughly enjoyable! 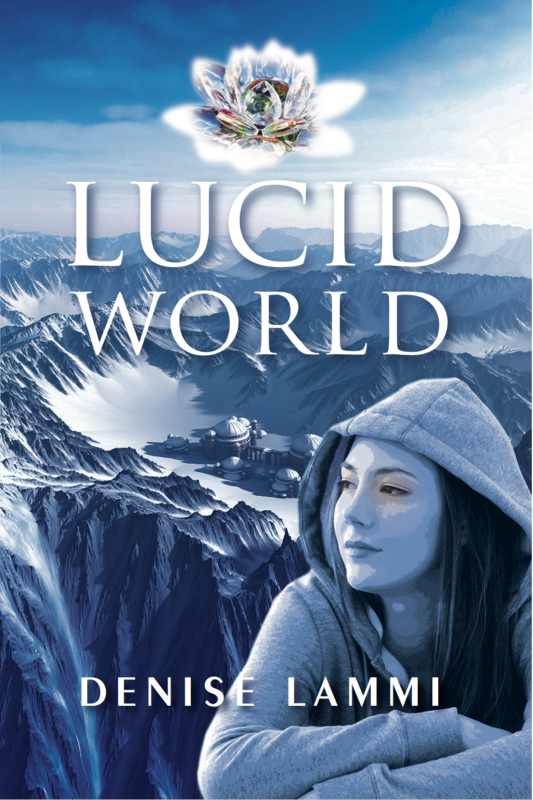 Lammi’s first novel ‘Lucid World’ inspires and engages with the introduction of a brave and sparkling young female protagonist Morgan, dwelling in small town Alberta, while covertly engaging with another world. As I indulged in the enchanting characters in ‘both worlds’ and the rich sprinkling of the author’s life lessons, I saw the story come alive as a potential television series. Reaching its final page, I felt both full and hungry for its sequel. A must read for young readers as they navigate through their challenging school years. A brilliant balance of depth and lightness, ‘Lucid World’ shares important teachings for readers of all ages and cultures. Lucid World entertains, inspires and delights the imagination. As the characters came to life and the story unfolded, I found myself living in the story. At the end, I didn’t want to turn the last page. As Morgan drifts in dream to the surreal Lucid World within, she struggles to understand the “khaos” in her own world. Author Denise Lammi takes us on Morgan’s courageous journey as the teenager balances two worlds, family, friends and a host of interesting characters to find her way through the “khaos.” A lively, fun read. Realtor and Author of "The Case for Having Children...and Other Assorted Irrational Ideas"
A gripping story of Khaos running rampant on earth and it’s up to a group of teenagers to stop it, before it completely takes over the earth. Set in Southern Alberta, the tale comes alive when young Morgan becomes aware of just how bad Khoas is on earth, and the difficult journey ahead for her (them) to curtail it. As a fan of Rick Riordans’ books, I was impressed with the new group of kids that have to save the earth. Available at Amazon.com, Amazon.ca, and other online sellers. Ebook available globally in multiple formats – look for it in your favourite online store.